Thank you for logging on to the 1979 Class Reunion Website. This website is one of the primary ways to find out about upcoming events and reunion activities so check back often. PLEASE update your contact/email information whenever you make a change. Major reunion events will take place every 5 years. Smaller informal get-to-gethers will be planned yearly. If you are planning an event and would like to have it posted on this site please contact Diana Gamertsfelder Hanna at dhanna3341@gmail.com. You can also follow us on Facebook and Instagram. 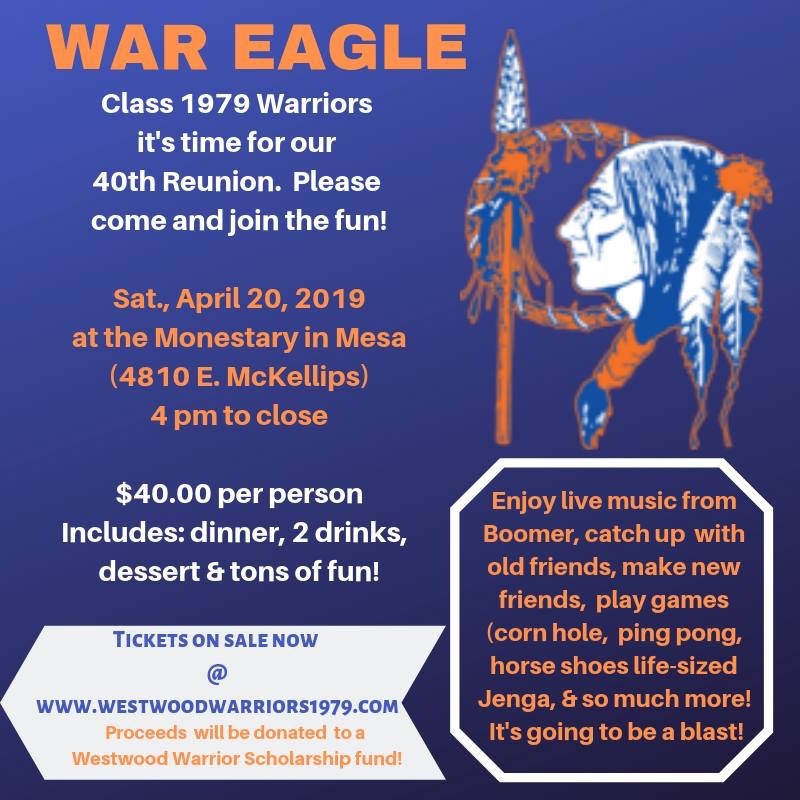 40th Reunion April 20th, 2019 at the Monastery in Mesa, AZ from 4pm to close. 1. 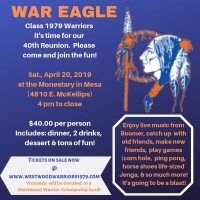 Please register / update your contact info on the "ALUMNI - REGISTER" tab so we can send you emails about reunion events. 2. Check out all of the Menu Tabs to the left for event details. 3. Leave a note in the "Guest Book", upload photos, send emails to friends, or contact us with questions. NOTE: Please help us locate missing classmates by inviting them to register on the below website or by contacting us with their email and address information. Thanks.